Twenty years ago many of our classes ended with the feet of our children dancing through the studio excited to see what all of the crazy grown ups were doing. Dancing feet delighted us then and still do. Yoga is a dance. Life is a dance. The dance and the dancer are one. The breath is sweet music moving the body to the rhythm of the heart. Shiva dances the cosmic dance, Ganesh dances between realities with grace and agility helping to remove obstacles. 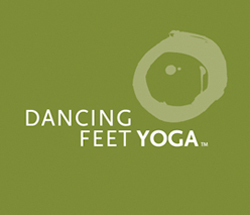 Dancing Feet Yoga celebrates the beauty of everyone’s dance, flowing with grace, spiritual essence and humor.